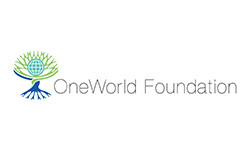 We are very happy to present our partnership with the One World Foundation (OWF), Bulgaria. OWF has funded a year-round programme for mid-day meals for 620 school children in a school (ZPHS Nadupuru) in Visakhapatnam, Andhra Pradesh. OWF was founded by Dr Ruja Ignatova to support children’s right to education and self-improvement, and to give them further opportunities to develop. Their mission is to empower children to reach their potential through education and long-term support. Like us, they believe that children and youth must have equal access to quality education. OWF works to provide vulnerable children with the opportunity to develop their knowledge, talents and skills.